Every baby is special. But a rainbow baby represents a very particular kind of hope — hope for parents who have lost a baby due to miscarriage, stillbirth or death in infancy. A rainbow baby is one born after such heartbreaking loss. And these little ones couldn’t be better named; after all, a rainbow typically follows a storm and hints that sunshine and calm are on the way. 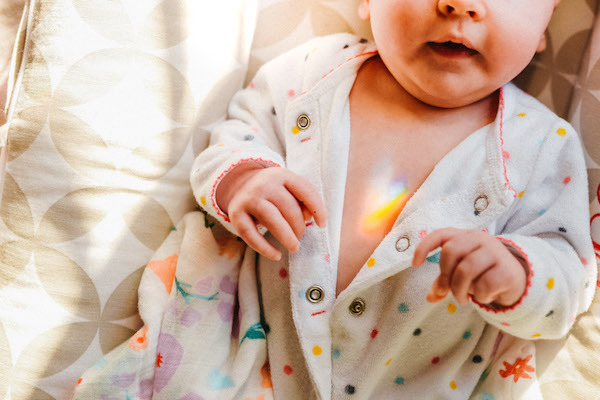 The rainbow baby concept can also help parents process any feelings of guilt and deal with blame they may place on themselves for the loss of their other child, licensed psychotherapist Dr. Mayra Mendez tells SheKnows. Alaina Moorefield is one mom who knows the unique beauty and joy of a rainbow baby after heartbreak. Twice during a period of 18 months, Moorefield went through two miscarriages. But Moorefield and her husband, who already had two sons, ages 3 and 10, did try again. And when Moorefield found out she was pregnant, she was understandably overcome with nerves. 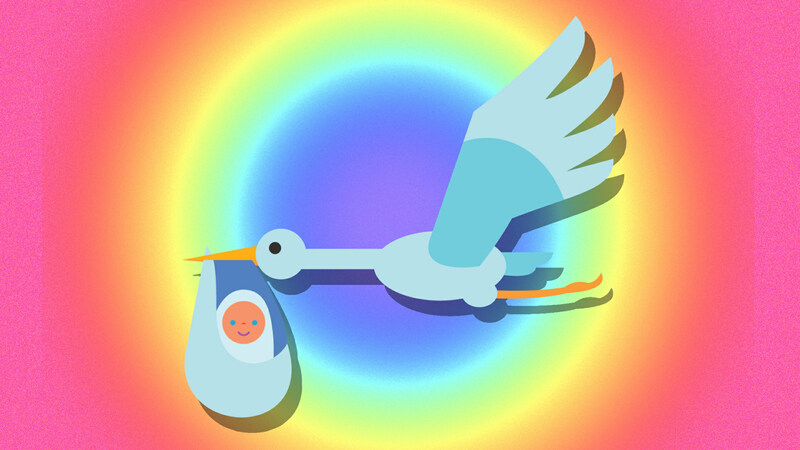 Another mom waiting for the arrival of her own rainbow baby is Erin Burke from Baltimore, Maryland. But after the joy came the fear — fear of losing this baby too. “I try my best to stay in today and enjoy every moment that I am blessed with this little boy — yes, it’s a boy! We will never ‘get over’ the loss of our daughter, but just for today, we are looking forward in hope,” says Burke, whose rainbow baby boy is due in October. “Rainbow baby” may be a relatively new term, but parents have been experiencing devastating baby losses for, well, forever. What’s changed is that the conversation about baby loss (plus conception difficulties and infertility) flows more readily nowadays. “Language that facilitates this really allows for people to grieve more openly, receive more support and connect to the possibility of hope via others’ rainbow baby stories,” said Lapointe. Here’s to celebrating rainbow babies — and the siblings they never meet but who are always with them.